Unfortunately, these comical words aren’t far from reality. We live in a world where “I promise” is seldom sincere and true faithfulness is a foreign concept. We’ve all been disappointed by promises unkept. Our hearts have been broken by family, friends, coworkers, and even those in the church. We feel we can trust no one, and so we retreat to our fortresses of distrust and suspicion, guarding our hearts, at all costs. Can we ever trust again? Yes, we can. But first, we have to take down the self–made walls of protection surrounding our hearts. Learn the meaning of promises kept and the true freedom that comes to those who surrender their fortresses of fear. 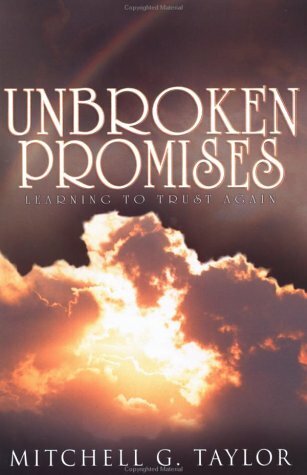 As you discover the depths of God’s Unbroken Promises, you can learn to trust again. Although raised as a “preacher’s kid,” Mitchell became acquainted with street life early on. He quickly got caught up in a life of drugs and crime. He spent several years in and out of prison and eventually developed an addiction to heroin. God had other plans for Mitchell. After visiting his father’s church one evening, he was supernaturally changed and gave his life to Christ. He has been seeking the Lord ever since. Shortly after his conversion, he enrolled in the Bethel Bible Institute under Bishop Roderick Caesar, Sr., in Queens, New York where he completed classes in evangelism and general Bible. He continued his studies at the United Christian College in Brooklyn, New York where he earned his bachelor of theology degree under the instruction of Dr. Irene Powell. Mitchell also holds an Honorary Doctorate of Divinity from the United Theological Seminary in Orlando, Florida. While still studying theology, Mitchell began his ministry with a tent crusade in 1983. Many souls came to the Lord during that meeting, and Mitchell has conducted several revivals since then, which the Lord has also used to change lives. 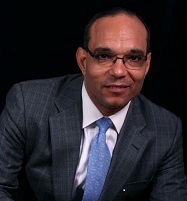 Mitchell founded his first church, Astoria Outreach Ministries in Queens, New York, in 1987. He pastored this church until taking over pastoring duties at his current church, Center of Hope International. Because of Mitchell’s efforts in Long Island City, CBS News aired a national television special on him in April of 1994. The program, which referred to Pastor Taylor as “The Preacher in the Hood,” spotlighted the outreach programs of Center of Hope International. Mitchell has a love for gospel music, and he composes and arranges songs as the Lord leads him. For many years he served as the National Director of Promotions for Malaco/Savoy Music Group, a vehicle for spreading the Gospel of Jesus Christ through song. Pastor Taylor has been happily married to his wife, Barbara, for many years. They have two children, Telisha and Mitchell, Jr. Opportunity to buy the book!